Drawing inspiration from things around me (pre-Pinterest :)) and from current trends, concepts examined gaps in Pottery Barn’s existing product catalogs. 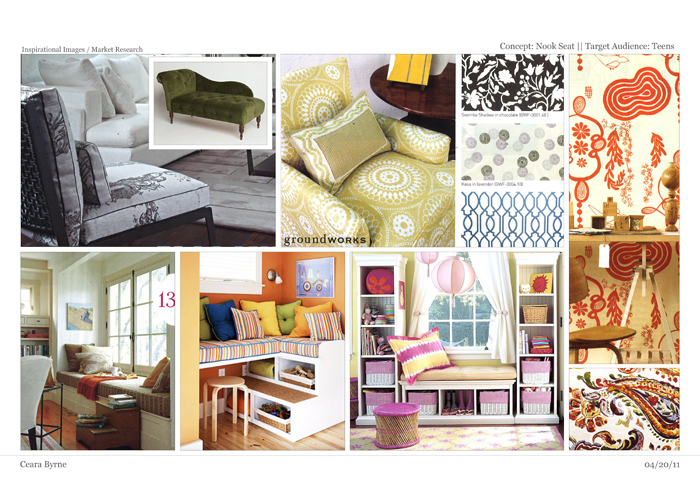 Shown below are inspiration boards, initial concepts, and final, more refined concepts. Designed for the busy, yet organized teenager who is ready to tackle the world. 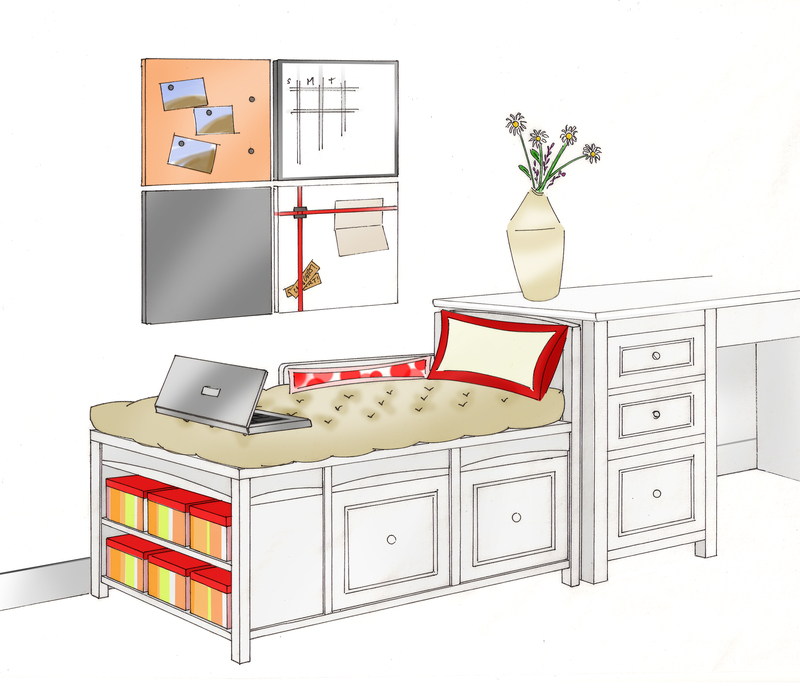 It features slide-out drawers and shelves perfect for PB teen storage bins. 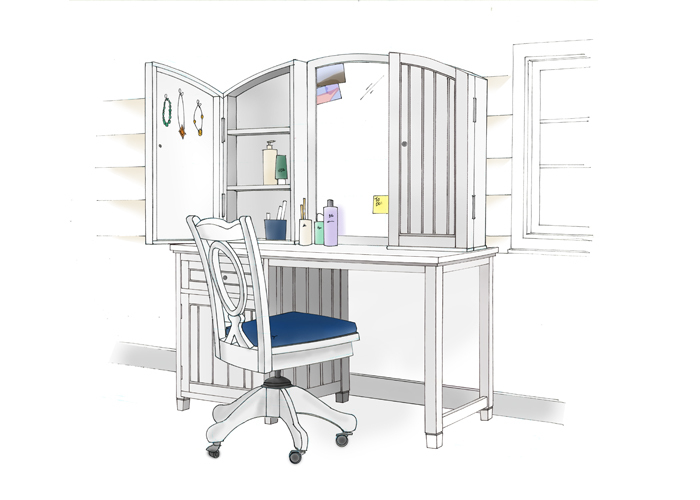 Help your daughter take her space to the next level with this vanity. This vanity pairs perfectly with their entire Beadboard Collection. 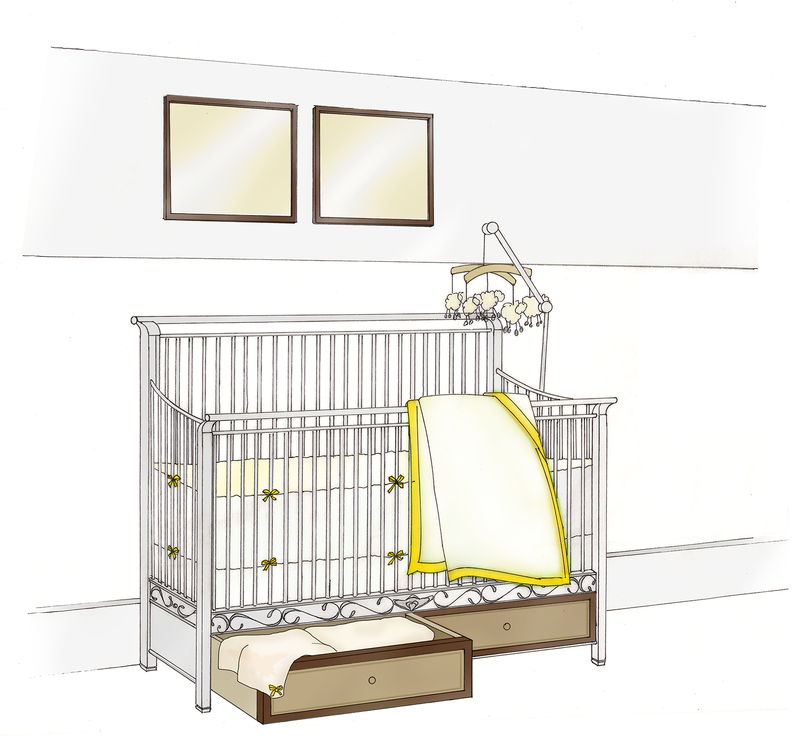 This crib was designed to grow with the hectic and ever-changing life of your child. 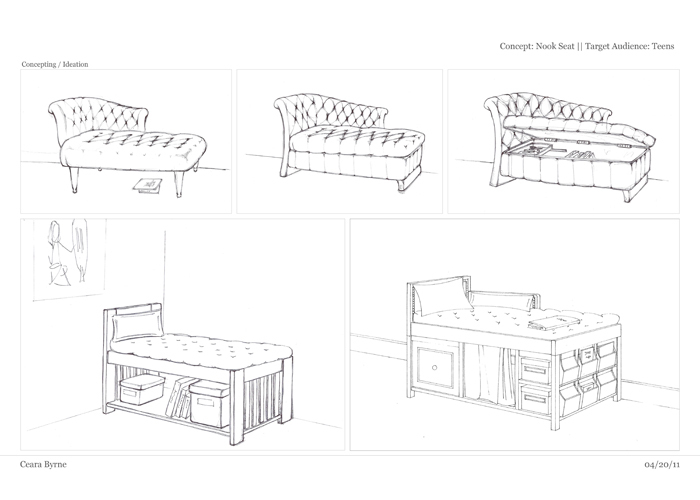 The ends convert into a headboard and footboard for when your child outgrows the crib.